****More photos coming soon. This Soul will be fully serviced and detailed. 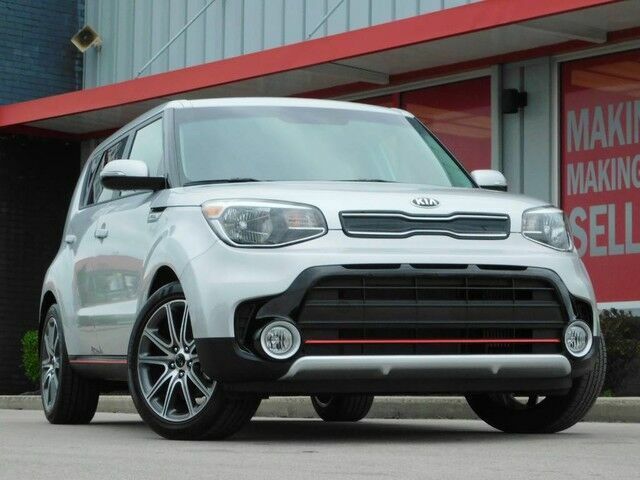 **** Richmond Car and Truck Center is proud to offer this immaculate 2019 Kia Soul ! Turbo that looks great with a Bright Silver exterior and Black Cloth interior. Some of the great features youll find in this Kia Soul ! is Front Fog Lamps, 1.6l Turbo Charged Engine, All Season Floor Mats, USB/AUX Connection, Voice Activated Control, Bluetooth Connectivity, Touchscreen Display, UVO eServices, Wifi, Apple CarPlay, Android Auto, Rear Backup Camera, Drive Mode Selector and Push Button Start. Take comfort in knowing Carfax affirms only one previous owner, no incidents and it has the 100% Carfax Buyback Guarantee!. Due to our pricing our vehicles sell pretty quick, so call ahead to be sure of availability! This Kia Soul ! has been quality inspected, fully serviced and ready for delivery at Richmond Car and Truck Center of Richmond, Ky.